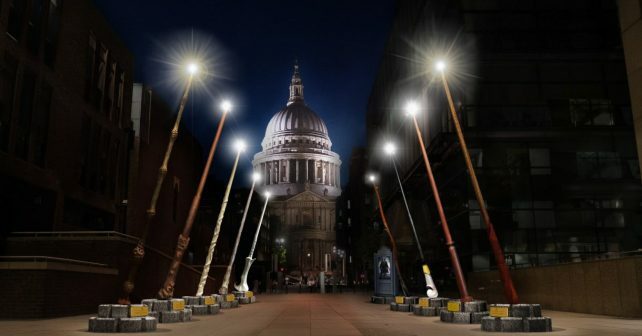 Harry Potter fans take note; there’s a new light installation made up of nine giant magic wands coming to London. And there’s no need for a Gringots withdrawal – it’s FREE to see. The dazzling Fantastic Beasts: Wizarding World Supports London – in the shadow of St Paul’s – features a cluster of 15ft tall glowing batons. The temporary lights will illuminate the walk way between the Millennium Bridge and the city’s giant cathedral. The organisation aims to help young people in orphanages and institutions across the globe. The latest Fantastic Beasts film, The Crimes Of Grindelwald – which was shot in part around St Paul’s is also out this autumn. So any publicity from this can’t hurt! Plus – look out for weekly Wizarding Wednesdays too which will include wand training for trainee and live performances from a military marching band. Keep an eye on Lumos’s website for more info.